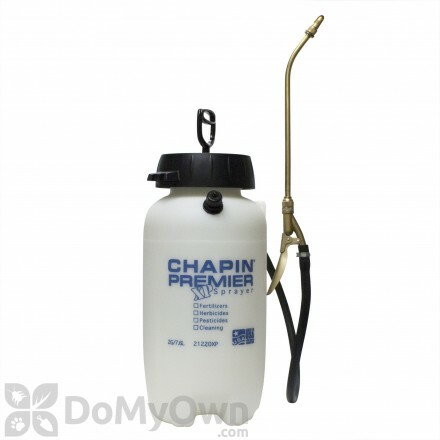 Hand pump sprayers are an essential part of any homeowner’s toolbox. The sprayers allow you to do your own pest control and lawn care in a calm controlled manner. Mix your product then pump the sprayer to the pressure desired for optimal results. 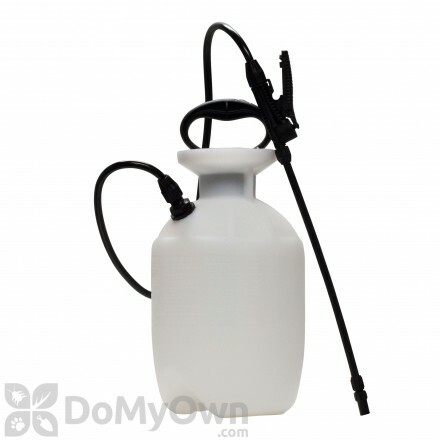 Shop our wide selection of hand pump sprayers and choose the best sprayer for your needs. A professional 2 gallon stainless steel sprayer with a 18 in. wand and Extends-Ban valve with a 4-way tip. 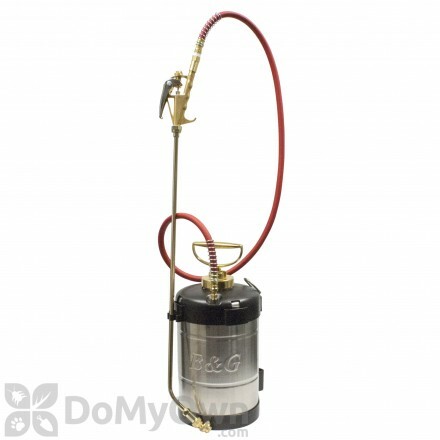 A professional stainless steel green sprayer made for organic and natural insecticides with wand and a C&C tip. A handheld sprayer that features chemical-resistant Viton seals and is perfect to use for spot treatment. 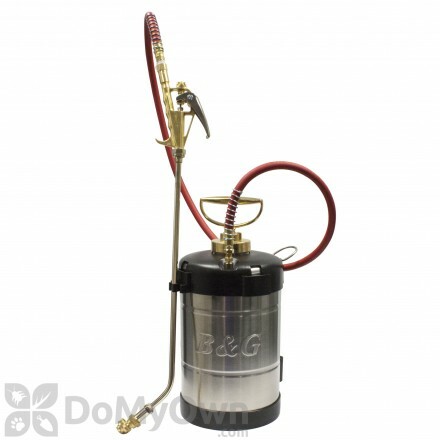 A professional 2 gallon stainless steel sprayer with a 24 in. wand and Extenda-Ban valve with a 4-way tip. Hand pump sprayers make applying herbicides or insecticides easier and more effectively. Many professional products must be diluted and applied at a specific rate, or amount over time, which is difficult to do without the right tool. The correct application method will bring you success in your control effort; applying too much product can lead to damage to plants or create dangerous runoff, and applying too little will not control your problem and you may end up applying more than necessary. This makes a sprayer a very important and necessary part of your control efforts. Hand pump sprayers are simple to operate, easy to maneuver, and versatile. Which makes them perfect for the home applicator. Usually found in one to five gallon capacities, they require a small amount of product to be filled, which keeps them lightweight, yet still able to do a lot of work. 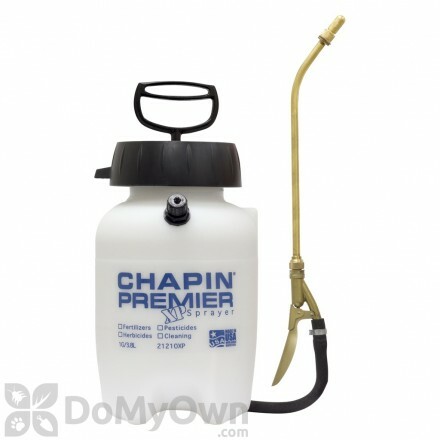 When you purchase a hand pump sprayer, you will get a tank, pump, and nozzle or wand. The nozzle will spray different patterns; different spray patterns work better for different applications. Many models have adjustable nozzles, which allow you to use different patterns depending on your needs. These sprayers are fairly easy to use. The most difficult part about using hand pump sprayers is diluting and applying the product correctly according to the label instructions. Caring for your sprayer is also an extremely important aspect of owning a hand pump sprayer, since improper cleaning and storing can cause the components to corrode. Clean your sprayer after each use. If personal protective equipment (gloves, mask, goggles, etc) is necessary for application, it should also be worn when cleaning your sprayer. Rinse your tank with clean water. Flush clean water through the nozzle. Repeat at least one more time. If you will be switching chemicals or products, make sure to clean your sprayer even more thoroughly, using a detergent cleaner. This will help prevent contamination and mixing of chemical residues.